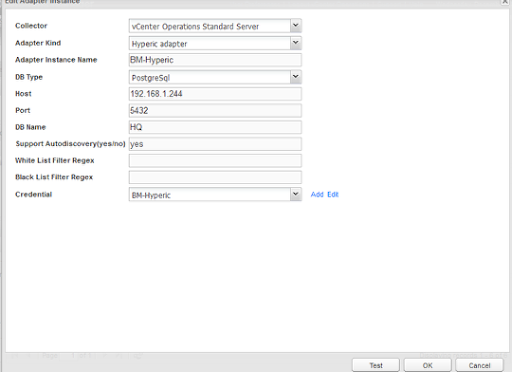 In this post I will explain how to configure vC Ops 5.6 and Hyperic 5.0 integration. A few requirements and assumptions need to be stated up front. - You own vC Ops 5.6 Advanced or Enterprise and have access to the Custom UI. - You have installed and configured Hyperic 5.0 (I highly recommend the new Hyperic vApp - easy to install and configure plus it scales nicely). Why would you want to do this? Very briefly, Hyperic adds a capability to combine metrics analysis from the guest OS (as well as physical systems) with the analytics already being derived for the vSphere environment. Basically, there's only so much that vC Ops can "see" via the vCenter API and it's important to understand what's going on in the guest OS on a VM to have a more complete picture of performance and health. Onward and upward, time to get this working. First, you will need to obtain the Hyperic adapter for vC Ops from VMware. Once you've downloaded the adapter, connect to the Admin UI of your vC Ops UI VM and log in as the admin user. Under the "Update" tab you will find the option to browse for the adapter file (should be a *.pak file). Press the "Update" button and accept the EULA. The install will proceed and you will have nice series of tasks in the Update Status window. Once this is done, you will now log into the Custom UI of your vC Ops UI VM where you will click on "Support" link in the upper right section of the UI. In the Support page, select the "Info" tab to get to Adapters Info. You will need to allow vC Ops to initialize (or "Describe" as it is called) this adapter so you can use it. Click on the small gear icon in the "Adapters Info" section to start the describe process. Just select "Yes" on the confirmation diaglog. You can refresh the "Info" tab after a minute to make sure that your adapter has been added to the list - here you see I've already described a Hyperic adapter. Next you'll need to configure an adapter instance of the Hyperic adapter to point to your Hyperic server. 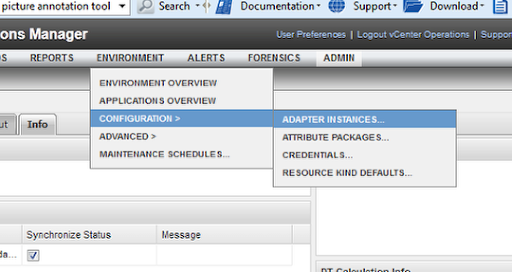 From the "Environment" pull down menu, select Configuration > Adapter Instances. This will bring up the Adapter Instances manager where you can add/edit/delete adapter instances. 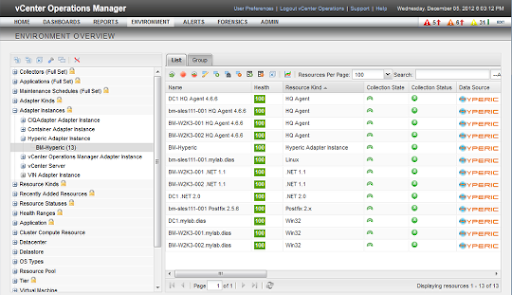 You will select the green plus icon in the manager to add the Hyperic instance. Again here is an example completed. The "Instance name" is a descriptive name you provide - it doesn't have to match the adapter instance, I just like to do that for simplicity. The user name is hqadmin for DB access if you are using the vApp. Once completed, click OK to return to the instance configuration. At this point you can confirm you settings by clicking the "Test" button - if all is well, you'll get a pop up like the one above. If not, you'll get a pop up that is really not helpful at all but never fear, just validate the settings and credential and try again. You may also want to make sure you can ping the Hyperic DB server from the vC Ops Analytics VM. That's the extent of troubleshooting I'll provide here, but feel free to leave questions in the comments section - or even better, head over the VMware's Community and post your question in the vC Ops or Hyperic community (I regularly monitor the vC Ops community). Now that your adapter instance is configured and working, head over the the Environment Overview page and after about 5 - 10 minutes you will have some new resources. 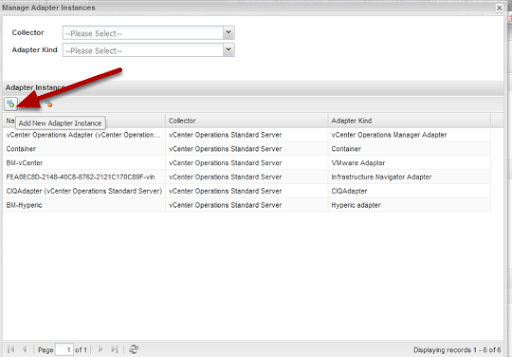 Open and select Adapter Instances - Hyperic Adapter Instances - (your instance name) to see. Notice I now have good stuff like various platforms (Windows, Linux) and some services. That's all it takes. I'll have a future post on creating relationships between vCenter and Hyperic resources as well as some custom dashboards featuring Hyperic metrics. This is literally the most helpful information I have found all day, thank you soooooo much!! I totally agree. Was thinking for a minute i would have to RTFM but this blog post really helped! Always fun to know that my posts actually help people, thanks for the feedback!! This is awesome. Thank you for putting this together. Have you tried Hyperic 5.8? and the vcops to hyperic API config (HQ Server settings)? I've got stuck there can't go forward. Any experience of this? Hi Erik, I do have this running in my lab and the setup is a bit different from what I have in this post. I'm glad you pointed that out, I need to provide updated information for this. 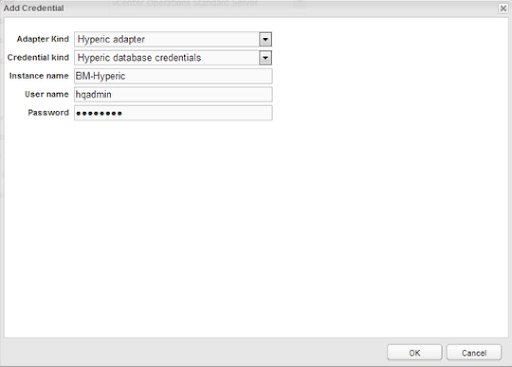 I've installed Hyperic 5.8 and am trying to integrate it with vcops 5.8. 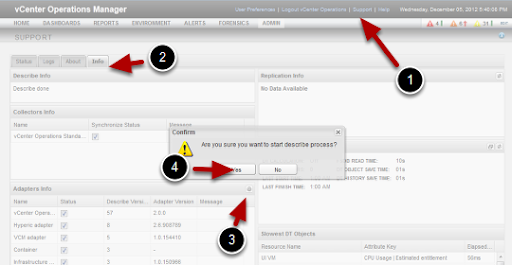 But as a prerequsite step the vcenter configuration must be performed. This is what doesn't work for me. The MOID doesn't appear in the resources tab and the server.log spits out logentries that resources cannot be identified. If you have any leads to what I've might have done wrong I'll greatly appreciate it! I think it would be great if you could do that. To list the things that you have to do in order to get it to work. I've followed the 5.8 documentation but it still doesn't work. Either there's a bug or I've missed something essential! Erik, without knowing specifically what you have done, I am guessing. 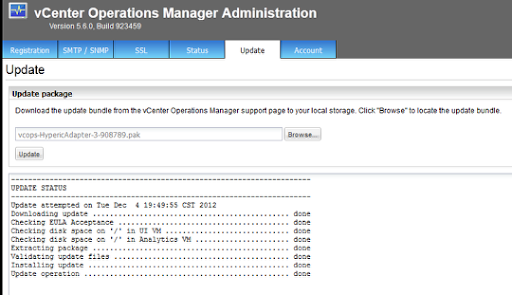 But make sure that the vCenter URL is https:///sdk in the vCenter Settings in Hyperic. Also, you may want to try the Hyperic and vC Ops communities at VMware.com so you can get faster responses - I'm a little slow on comments many times.